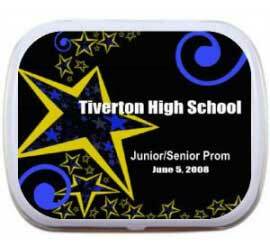 Party411.com offers a selection of school events mint and candy tins. 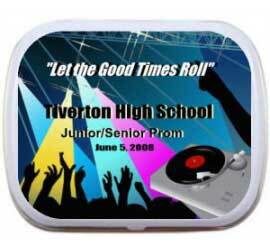 These are great for your prom, homecoming dance or school reunion! A movie theme party favor customized with your message!